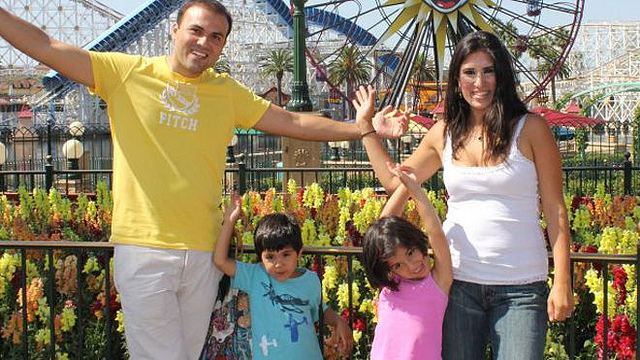 American Pastor Saeed Abedini and his family. A copy of Billy Graham’s original letter is below. I guess we’ll see how serious Rouhani is about peace with the West. Please remember Pastor Saeed Abedini in your prayers. 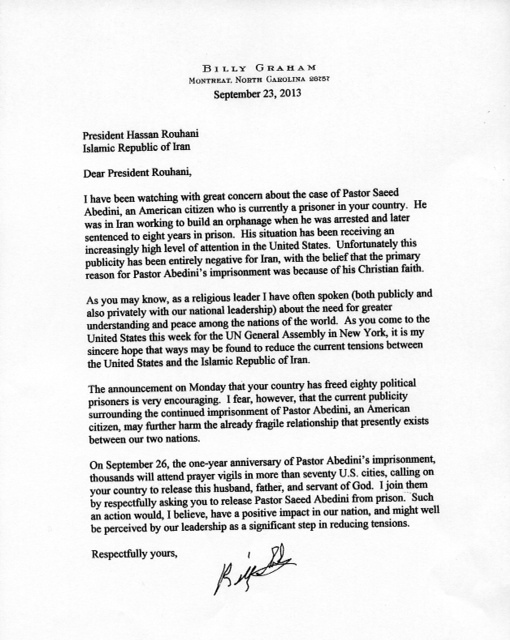 This entry was posted in News and tagged Abedini, Billy Graham, Billy Graham writes letter to Iran President, Christian News, Christianity, human-rights, Iran, middle-east, politics, religion, Rouhani, Saeed Abedini by Kurt Bennett. Bookmark the permalink. Thank you for sharing this and may Yehovah free Pastor Saeed! Eze 38:16 and you shall come up against my people Israel, as a cloud to cover the land: it shall happen in the latter days, that I will bring you against my land, that the nations may know me, when I shall be sanctified in you, Gog, before their eyes. Eze 38:22 With pestilence and with blood will I enter into judgment with him; and I will rain on him, and on his hordes, and on the many peoples who are with him, an overflowing shower, and great hailstones, fire, and sulfur. Eze 38:23 I will magnify myself, and sanctify myself, and I will make myself known in the eyes of many nations; and they shall know that I am Yahweh.